As the name suggests, cylindrical mirrors are either round or rectangular objects which have cylindrically shaped surfaces. They differ from spherical mirrors in that they focus a beam to a focal line rather than a focal point. Reflectivity is improved by applying a highly reflective coating on the optical surface. 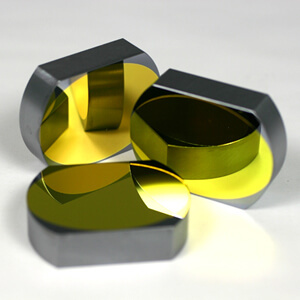 Multilayer coatings are available for various areas of the light spectrum. Cylindrical mirrors are made from Cu, Si, Ge, Al, and other metallic materials.